Let’s say there is a divide happening in front-end development. The divide is between people who self-identify as a (or have the job title of) front-end developer, yet have divergent skill sets. The way we write CSS is about to change. No, I don’t mean you have to change how you write your styles, but we as developers are about to get a lot more control. What am I talking about? That would be the CSS Houdini spec and the new browser APIs that are coming out as a part of it. This morning, I read Heydon Pickering’s post on switching from a multiple column flexbox layout to a single column layout without an intermediate step. I spent a bunch of time figuring out why it works. Ensuring visual consistency is one of the biggest challenges of working on a UI component library. Since visual regressions in one component can lead to unwanted changes across an entire application, it becomes vital that we test not only our components functionality, but also their visuals. What follows is the story of how we introduced visual regression testing into our React component library that implements our design system. Want to See Your Job Listing Here? It's hiring season, so we've expanded our sponsored link offerings for the new year. You can now post your job listings to Friday Front-End for half the cost of a standard sponsored link! See our sponsorship page for more details. Support Friday Front-End by becoming a sponsor! Reflecting on 20 years building websites, Dan shares what CSS taught him. 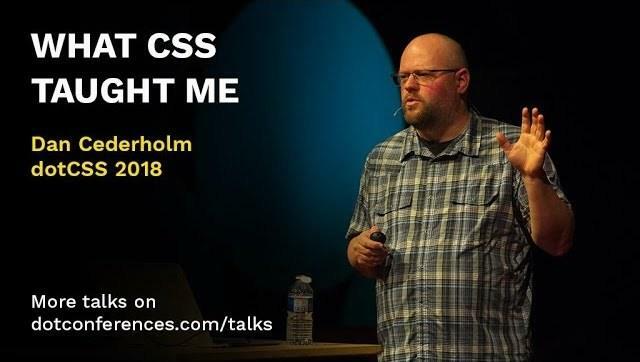 Often, it had little to do with CSS itself, but everything to do with making mistakes, teaching while you're still learning, and that everything we create on the web will eventually disappear. And that's ok.